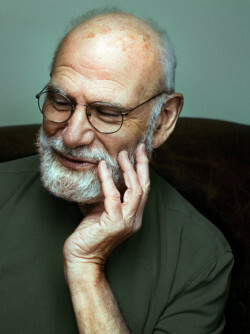 Oliver Sacks. Photo: Maria Popova. Source: Wikimedia Commons. Oliver Sacks – physician, writer, weightlifter, motorcyclist, pianist, swimmer, and humanitarian – has died at 82, leaving us bereft not only of his many talents, but also of their singular conjunction in him. He was a very fine doctor and an excellent writer, but he was most remarkable for bringing humanity to medicine and scientific rigour to narrative non-fiction. He was drawn to the difficult cases: people with apparently impenetrable neurological conditions who were largely abandoned by their own society. In order to treat them, he had to locate their concealed humanity. He adopted a holistic approach before there was even a name for it, and believed that you could not cure someone you did not know. Though his tone could be clinical, there was compassion behind it, a noticing of the souls trapped behind obscuring circumstances. With an almost childlike capacity for delight, Sacks revelled in a constant bravado of discovery, applied both to his patients and their conditions. He was to modern medicine as the handmade is to the machined: careful, laborious and beautiful by virtue of a rich inexactitude. He sometimes obtruded on what he described with a bestowing air, but that constant presence, which could feel undisciplined and unmedical, was requisite to his particular brand of intimacy. In his books, he insisted that we like his characters as well as know their conditions, and so he made them startlingly alive. He was both exploitative of and deferential to them, telling their stories without regard for seemliness and without filtering out personal details – but in doing so, he achieved a collective dignity for all the afflicted. You cannot read his books and doubt the humanity of incomprehensible humans. Jewish and gay, Sacks felt like an outsider in his native Britain; he was relieved to be an alien when he came to the United States. Experimentation with drugs in his early years in the US very nearly killed him. His amphetamine addiction seems to have been rooted both in his florid enthusiasm for new experiences and in a strange carelessness about his own devalued life, a troubling modesty that coexisted with medical egoism. As a young man, he was happiest alone on his motorcycle, on which he covered vast distances, or competing in bodybuilding competitions. He was ascetic to a fault, oddly careless about his appearance, his food, and his home. Yet he was also capable of aesthetic ecstasies, and understood music in particular at a deep, nearly mystical level. He could hear colour everywhere and was an accomplished pianist. He was capable of enormous wit, and his writing is suffused with a memorable sense of humour, a lightness that seduces us into his immensely serious topics. No irony of his patients’ situations went unremarked. With an almost childlike capacity for delight, Sacks revelled in a constant bravado of discovery, applied both to his patients and their conditions. Sacks liked risks, but he was also in some ways deeply conservative; his discretion extended well beyond the realm of valour. He held back and leaped forth in alarming but spectacular succession. He kept secrets, but made you trust him. He advertised his prosopagnosia, but his distant bearing was not entirely a function of face-blindness; he was also extremely shy, and while he loved people with a vast range of authentic disabilities, he did not suffer fools gladly. 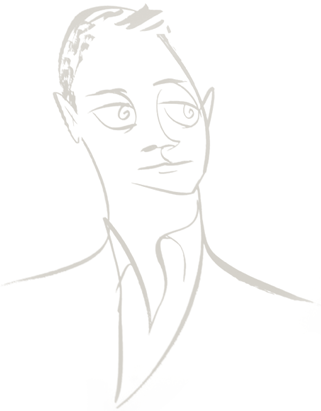 He had a taste for fame and glamour, and proudly counted a range of impressive people among his acquaintance. He seemed like a voice at the centre that spoke for the margins, but he was at a margin of his own, and he understood the dismaying abnormalities of his patients in part because of his own sense of abnormality, enforced by a homophobic mother and by an internalised homophobia that kept him celibate for much of his adult life. To be so empathetic and so lonely seems odd; someone so capable of accompanying those in pain should have had a line out the door of people eager to marry him. 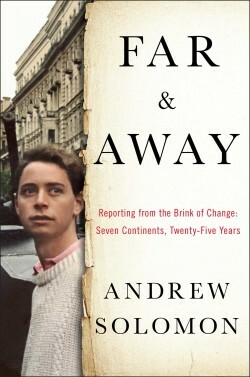 But he found love at the very end of his life, and in his last book, the memoir On the Move, paints a touching portrait of that revelation. Sacks was not made uncomfortable by what unnerves most of us. He wielded his clinical obligation like Perseus’s shield, in which a cavalcade of Medusas lost their stony power. Patients whose condition would have made others throw up their arms seem to have delighted him. Though the outpourings in Sacks’s journals can feel prolific to the point of profligacy, he listened, always, far more than he spoke, and when he spoke, he did so with moral authority. It was audacious to be as careful as he was about the spiritual vulnerabilities of the profoundly impaired. He saw early that science was moving to explain people more and more in biological terms, and insisted that this progress not blind us to their idiosyncrasies, to the choices they made as they retained, always, some agency. In an age of medical predestination, he was a voice for free will.